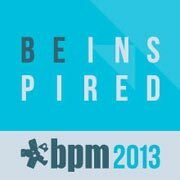 BPM 2013 is fast approaching. The largest show for DJs in Europe (8000 square metres over 2 halls!) will be held on 14th, 15th and 16th September 2013, at The NEC Birmingham. DJ Hank attends every year and, in his own words, "A swarm of raging locusts wouldn't keep me away!" As locusts are pretty nasty little critters we need to delve a little deeper into why DJ hank and thousands of other DJs from across the country (and the world) descend on the NEC for BPM. All the big names such as Denon, Prolight and Bose will be there demonstrating their latest products and giving ample opportunity for 'hands on and play'. Equally important are the smaller companies that you may have never heard of such as Monkey Banana, a new name in sound. It's not all just about sound and light either. Other products such as photo booths, DJ programs, stands, music providers (such as CD Pool) and business ideas (such as DJ Event Planner) will be featured and there are always plenty of people on hand to give you a demonstration, offer advice or enable you to have a go yourself. Bring your cash or credit cards as there will be plenty of bargains and attractive discounts from many of the retailers. You can also be one of the first to get your hands on DJ Hank's printed book which will be available on the AMPdj stand B73. BPM presents the perfect opportunity to listen to an unprecedented range of speaker systems; from top end equipment through to the more affordable. From midday to 4pm each day, the selected sound systems will be put through their paces giving you a unique opportunity to hear and compare them in a large area and at full capacity. When the shutters go down on the stands at 5 O'clock on the Saturday and Sunday, everyone heads to the arena. Here you will witness some amazing light shows and performances from top DJs and artistes. On Saturday you will be treated to a video party with a star studded cast of The Video Geeks followed by 'beat a maxx'. The Video Geeks have produced some of the most exciting and humourous video mixes incorporating floor fillers with clips from TV, movies and YouTube. Then it's over to 'beat a maxx' who combines turntables with the big screen to entertain and inspire. Also playing showcase sets in the main arena over the weekend will be Tim Cullen, resident DJ at Ministry of Sound and Andy Whitby (Hard Dance). Other guest appearances will be announced closer to the date. Full details and times will be published on Twitter (#BPMShow), the BPM web site and the BPM FaceBook page. The ADJ Pizza fest will be returning to this year's BPM. Last year it was a great hit and a major attraction during the afternoon. This is an event not to be missed! There are plenty of opportunities to meet-up and chat with fellow DJs. Come along to the AMPdj stand at B73 where you can meet some of them and the AMPdj team too. DJ Hank will also be there signing his new book! During the three days there will be over 40 educational seminars covering everything from mixing to marketing, going digital to becoming a wedding specialist. Times and details will be included in the BPM programme guide provided to all visitors on arrival. In all corners of the show, you will be treated to a variety of DJing demonstrations from both up and coming artists and long established ones. There are a number of competitions taking place. On various stands you will find 'free-to-enter' prize draws. You could be one of the lucky winners who walks out of the NEC with a new piece of kit! 1. The Freestyle DJ competition presented by Denon DJ. 1st Prize is the Denon flagship mixer/controller MC6000. In addition, the winner will have the opportunity to play at Fusion in Guernsey, complete with flights and accommodation. 2. Play@BPM sponsored by getinthemix.com. Not only do you win the opportunity to demonstrate your mixing skills to delegates entering the show, you are also entered into a draw to win a Pioneer DDJ-SX controller. Entries need to be submitted by 19th August. 3. Submit a mix to Gear4DJs for the opportunity to play a 15 minute set live on their stand. With all three competitions, your demo mix needs to be submitted as soon as possible. More information can be found on the BPM site and Facebook Page. 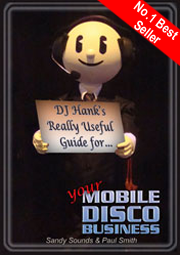 The paperback edition of DJ Hank's Best Selling book will be available from the end of August 2013 and on sale at BPM. Southend-On-Sea - DJ Superstore 25th Anniversary weekend 31st Aug/1st Sep. Come along to meet the AMPdj team and lots of other exhibitors as we help DJ Superstore celebrate. Glasgow - Next meeting scheduled for 25th September. Further details will be included in the next Infomail out early September. "If the person you are talking to does not appear to be listening, be patient. It may simply be that he has a small piece of fluff in his ear"